Why America Invaded Saddam's Iraq in 1993. In all, over a million American troops were killed and wounded in the American Civil War. 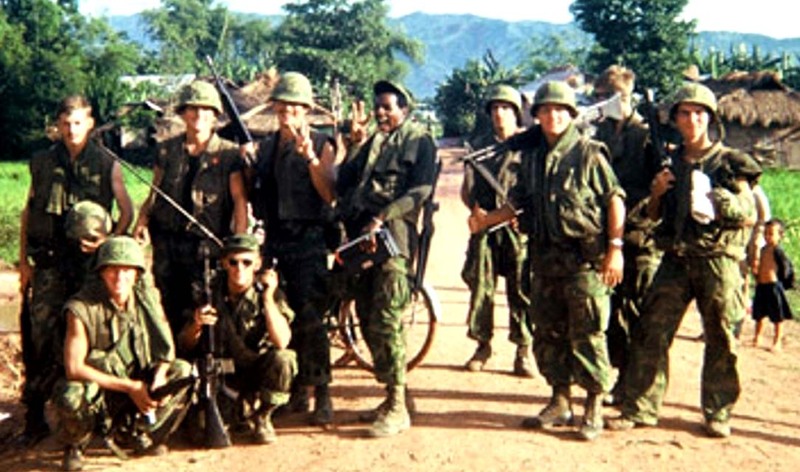 THE VIETNAM WAR SHOULD HAVE ENDED IN 1968. The four years of American Civil War that ripped apart the nation from 1861–65 achieved what seventy-five years of compromise could not. Defeatest Senator Harry Reid says America is losing the war in Iraq, because we lost over 3,000 American men and women in four years of battle in Iraq. He's demanding that President Bush pull our troops from Iraq immediately. What would America be like today, if Senator Harry Reid lived during the days of the American Civil War? America would be two different nations and one nation would still have slaves. However, before that happened, President Abe Lincoln would have tried Senator Harry Reid for treason. IMPEACH SENATOR HARRY REID NOW! Call your members of Congress NOW and demand Senator Harry Reid be impeached. Today, according to estimates, there are over 300,000,000 people living in America. The 1860 United States Census showed 12,240,000 Americans living in the southern states and 19,203,008 Americans living in the states the census classified as free states. For a total of 31,443,008 Americans in the 1860 United States Census. To show a rough comparison based on population increases between 1860 (Battle of Antietam 1862) and today, well-over 50,000 Americans would die in battle in a single day, if the same results happened at Antietam, Maryland on September 17, 1862. The American Civil War produced about 970,000 casualties (3% of the population). Based on today's America, 3% of 300,000,000 would translate to about 9,000,000 casualties. What would American politicians do if we lost over 50,000 Americans in a single day's battle? 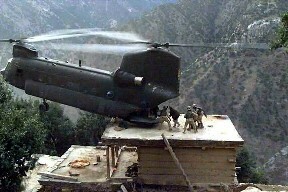 As of December 20, 2006, according to a CNN count, 2,954 Americans have died in Iraq. In 1761, fifteen years before the United States of America burst onto the world stage with the Declaration of Independence, the American colonists were loyal British subjects who celebrated the coronation of their new King, George III. The colonies that stretched from present-day Maine to Georgia were distinctly English in character although they had been settled by Scots, Welsh, Irish, Dutch, Swedes, Finns, Africans, French, Germans, and Swiss, as well as English. As English men and women, the American colonists were heirs to the thirteenth-century English document, the Magna Carta (details below), which established the principles that no one is above the law (not even the King), and that no one can take away certain rights. So in 1763, when the King began to assert his authority over the colonies to make them share the cost of the Seven Years' War England had just fought and won, the English colonists protested by invoking their rights as free men and loyal subjects. It was only after a decade of repeated efforts on the part of the colonists to defend their rights that they resorted to armed conflict and, eventually, to the unthinkable–separation from the motherland. The fiery trial through which we pass, will light us down, in honor or dishonor, to the latest generation. . . . In giving freedom to the slave, we assure freedom to the free–honorable alike in what we give, and what we preserve. We shall nobly save, or meanly lose, the last best, hope of earth. "A New World Is At Hand." September 17, 1862, was the bloodiest single day in U.S. history. An estimated 6,300 Union and Confederate soldiers died at Antietam, Maryland, in a savage battle that took place nearly a year and a half into the Civil War. It was one day in a war that raged from 1861–65 and cost some 623,000 lives. In a total national population of twenty-seven million in 1860, that number would be proportionately equivalent to losing more than five million today. That bloody day marked the seventy-fifth anniversary of the signing of the Constitution. At stake in the Civil War was the survival of the United States of America as a single nation. Eleven Southern states, invoking the spirit of 1776, seceded from the Union in 1861 to form a nation they named the Confederate States of America. The Federal Government refused to allow it. Massive armies representing the Union and the Confederacy squared off in a conflict that tested the experiment in self-government as never before. At the end of the Civil War's carnage, the primacy of the Federal Government over the states was indisputably upheld. The four years of Civil War that ripped apart the nation from 1861–65 achieved what seventy-five years of compromise could not: it resolved once and for all the question of slavery in the United States. By 1860, there were 4.5 million slaves in the United States. Military necessity and the force of human passion for liberty pushed emancipation to the top of the nation's agenda. Two major milestones marked slavery's final destruction during the war years: the Emancipation Proclamation and the Thirteenth Amendment to the Constitution. President Abraham Lincoln issued the Emancipation Proclamation on January 1, 1863, declaring that "all persons held as slaves" within the rebellious areas "are and henceforward shall be free." It also announced the acceptance of former slaves into the Union's armed forces. The Constitution grants extended powers to the President during times of war, and although it would not permit the President to interfere with slavery in the states under normal circumstances, it would do so during wartime. President Lincoln feared that the Emancipation Proclamation would be overturned once the war ended. A constitutional amendment would ensure that slavery could never again resurface. Congress formally proposed the Thirteenth Amendment outlawing slavery on January 31, 1865; it was ratified on December 6, 1865.
and that no one can take away certain rights. 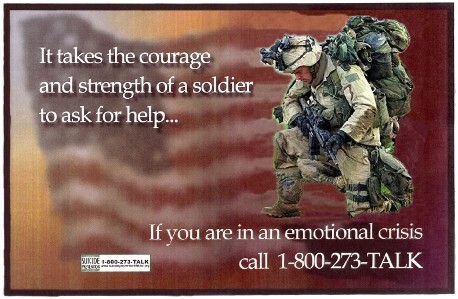 Someday, even New Jersey will recognize these same rights of PTSD veterans. Magna Carta (Latin for "Great Charter", literally "Great Paper"), also called Magna Carta Libertatum ("Great Charter of Freedoms"), is an English charter originally issued in 1215. Magna Carta was the most significant early influence on the long historical process that led to the rule of constitutional law today. Magna Carta influenced many common law documents, such as the United States Constitution and Bill of Rights, and is considered one of the most important legal documents in the history of democracy. Magna Carta was originally created because of disagreements between Pope Innocent III, King John and his English barons about the rights of the King. Magna Carta required the king to renounce certain rights, respect certain legal procedures and accept that the will of the king could be bound by law. Many clauses were renewed throughout the Middle Ages, and further during the Tudor and Stuart periods, and the 17th and 18th centuries. By the early 19th century most clauses had been repealed from English law. There are a number of popular misconceptions about Magna Carta, such as that it was the first document to limit the power of an English king by law (it was not the first, and was partly based on the Charter of Liberties); that it in practice limited the power of the king (it mostly did not in the Middle Ages); and that it is a single static document (it is a variety of documents referred to under a common name). Ratified July 9, 1868, the XIVth AMENDMENT of the United States gave all Americans the Right to Due Process. Someday, even New Jersey will recognize these same rights. In New Jersey, the influential are above the law. In United States law, adopted from English law, due process (more fully due process of law) is the principle that the government must normally respect all of a person's legal rights instead of just some or most of those legal rights when the government deprives a person of life, liberty, or property. Due process has also been frequently interpreted as placing limitations on laws and legal proceedings, in order for judges instead of legislators to guarantee fundamental fairness, justice, and liberty. The latter interpretation is analogous to the concepts of natural justice and procedural justice used in various other jurisdictions. 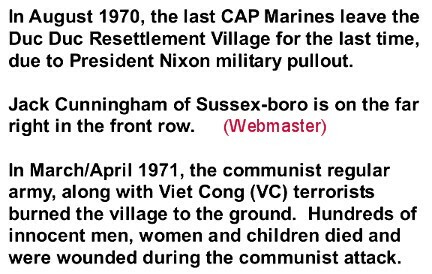 Village MASSACRED for helping the AMERICAN MARINES who served in the area. PRESS HERE FOR DETAILS. On March 17, 2007, based on the communication strengths of the internet, an estimated 30,000 patriotic Americans from around the nation, came through an east coast snow and ice storm to stand together at the War Memorials for World War II, the Korea War and the Vietnam War. These proud American flag-wavers stood, and still stand together in full support of America's men and women in military uniforms around the world. 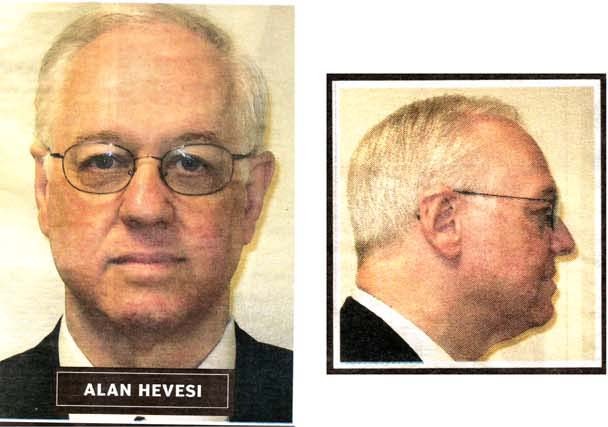 STATE CONTROLLER'S MUGSHOT IS A GUIDEPOST FOR ALL CORRUPT STATE POLITICIANS AND GOVERNMENT OFFICIALS.